The Broadcasting Authority of Ireland has allocated €4.42 million towards the production of 74 television and radio programmes. A DOCUMENTARY ABOUT rugby star Tommy Bowe and a six-part drama series for TV3 are just two of the beneficiaries from the Broadcasting Authority of Ireland’s latest funding scheme. Independent Picture’s application was awarded with a grant of €100,000 to produce Tommy Bowe – The Science of Me for RTÉ One, while the largest monetary offering goes to Tyrone Productions for a TV3 drama entitled Tailors Hill. Funding of €600,000 has been presented to the company behind the All-Ireland Talent Show and Ros na Rún. Round 13 of the scheme accepted both television and radio projects and a total of 163 applications were received. Altogether, €4.42 million has been offered to broadcasters and independent producers to support the production of 50 radio and 24 television projects. All the successful proposals explore the themes of Irish culture, heritage and experience. The majority are documentary films and programmes but three TV drama and three radio drama projects have also been included. Five others are classified as educational. Of the 74 projects supported, 12 are in Irish or bi-lingual (English and Irish). Chief executive Michael O’Keeffe said the BAI is pleased to see a diverse range of programmes, in terms of genre and formats. The Authority considered the recommendations arising from the assessment process and ratified the allocation of extra funding over and above that planned in order to facilitate the production of these high quality projects in a timely manner. Other notable offers in this round include €180,000 for a TG4 bi-lingual documentary called An Irish State of Mind. The proposed three-part series will be produced by Blinder Films, the same production company behind The Savage Eye and Striapacha. Loosehorse Limited, the people who made Galvinised and The Naked Election, have been awarded a possible €125,000 for a four-programme documentary for Setanta Sports called Blue Grit. Another sporting show will look at the GAA on the other side of the Atlantic. Sónta’s application for €185,000 was successful and the Irish documentary is due to be broadcast on TG4. RTÉ’s Craft Master is set for a second series as the maker of the arts and culture show, Big Mountain Productions, could receive an additional €195,000 in funding. The national broadcaster is also due to air a drama called Run and Jump, produced by Samson Films, which is to receive €395,000 in funding. Planet Korda and RTÉ’s See You At The Pictures has been offered €105,000 for its documentary about movie-going in Ireland throughout the decades. The producers are currently looking for stories and anecdotes about all aspects of the cinema-going experience from people of all ages. Two Titanic radio documentaries were also given the nod by the BAI. Life FM was offered €4,200 for its Cobh Remembers programme, while Tipp FM will look at the ship’s survivors who hailed from the county. Email “Tommy Bowe and Titanic documentaries to receive BAI funding”. 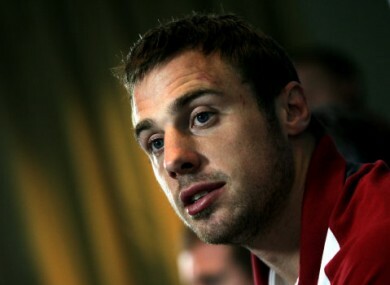 Feedback on “Tommy Bowe and Titanic documentaries to receive BAI funding”.